Fears of a Listeria outbreak have sent authorities scrambling over raw milk blue cheese. Authorities are yanking cheese off the shelves at Whole Foods over fears of a Listeria outbreak. Although no illnesses have been reported, Whole Foods is recalling all of its Maytag Raw Milk Blue Cheese because of concerns that it has been contaminated with Listeria monocytogenes, according to a Fox 7 Austin report. Authorities first discovered the possibility of contamination in Iowa in two lots at Maytag Dairy Farm, prompting the company to shut down production and distribution as it tries to figure out how it happened and ensure any future products are safe for consumption. Products labeled “Maytag Blue Raw Milk,” “Maytag Blue” or “Maytag Iowa Blue Cheese” that have PLU numbers starting with 293308 that have sell-by dates between Jan. 20 and March 21 should be discarded. 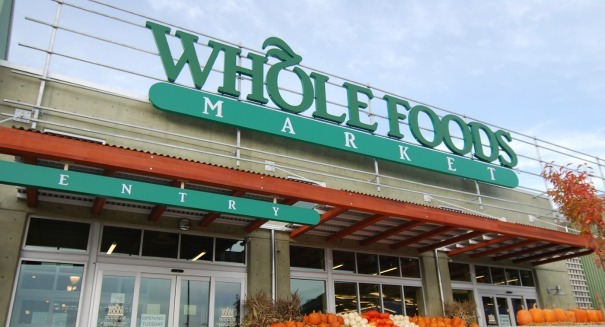 Whole Foods is recalling all of them from its shelves. They are typically sold in clear plastic wrap with scale labels at different weights. If you did buy cheese fitting those descriptions, throw it away and then bring your receipt to the store to get a full refund. Listeria monocytogenes is a potentially deadly disease that can be particularly problematic for young children, the elderly, or people with compromised immune symptoms. Everyone else will typically experience high fever and a severe headache, along with abdominal pain, diarrhea, and other symptoms. For pregnant women, it can result in a miscarriage. AUSTIN, Texas – Whole Foods Market in Austin, Texas is voluntarily recalling Maytag Raw Milk Blue Cheese nationally due to possible contamination with Listeria monocytogenes. The recalled cheese was sold cut and packaged in clear plastic wrap with scale labels in various weights reading “Maytag Blue Raw Milk,” “Maytag Blue” or “Maytag Iowa Blue Cheese” and with PLU numbers beginning with 293308 and “sell-by” dates of 1/20/2016 through 3/21/16. The product was sold from cheese cases in various Whole Foods Market stores nationwide. Out of an abundance of caution, Whole Foods Market is recalling the products from all of its stores nationwide. Customers who have purchased this product should discard it, and may bring their receipt into the store for a full refund. Consumers with questions may call 512-477-5566, extension 20060, Monday through Friday, 8:00 a.m. to 5:00 p.m. Central Daylight Time.